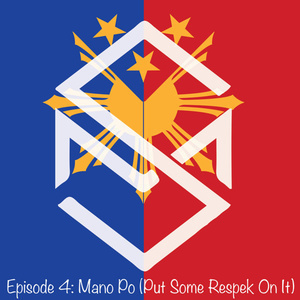 In episode 4, I share the mano. This is a gesture in the Filipino culture that shows respect to elders. In return, they give you their blessings. I don’t see it done as much anymore. Of course, we are in America but you would think you’d see it in Filipino gatherings or gatherings with other Filipinos. Though I don’t do it myself, I have showed my kids how to do it and what it means. I hope this episode will remind us that this is an important part of our culture and that we start to use it. Thank you Charles for joining me in Episode 03: Kabisadong Ring (Basketball). It’s beginning of Lent 2017. Did you go to Ash Wednesday? What did you give up for Lent? Shout out to Producer Mike @waxstyles from the TFAL Podcast for helping with some questions about audio. They have a great podcast, check them out. Thanks to Tita Loida’s feedback. She enjoyed the shows and appreciates me sharing about the culture. She feels that many Fil-Am don’t know it and some parents don’t have the time to share it with their kids. Thanks to Thomas @thomasami feedback. He shared with me that the audio seems different from the other episodes. Yes, I am using a new software to record guests that are remote. I’m still unfamiliar with it but I hope to improve as I keep using it.